$50,000 reasons why millions of Americans will learn to love freelancing even more. Dave and Sally are talking to their financial advisor about retirement planning. They ask, "Steve, how much money do we need to have invested with you to make $50,000 a year?" Steve looks down at his to find out and says, "Let me crunch a few numbers here." Dave and Sally are both in their late fifties, the last of their three kids are almost through college, they downsized once and dumped the big house, big yard, big pool and all the other big bills and headaches that went with it. Today they're curious to know Steve's number for retirement savings. They've known Steve since college and he seems like a pretty successful investment advisor. So they wait for the news. Steve turns around in his chair with a freshly-printed page including a nice color chart and says, "Okay, here's the good news. The stock market has been strong for a long time now and if you take out 5% of one million dollars you'd have your $50,000. Taking out only 3% a year means you'll need closer to $2 million saved up. The bad news is you only have $100,000 saved today and you don't save enough." "Not bad," said Dave as he looked at his best friend and wife, Sally, "We've only got $1,900,000 to go and we spend too much of what we make today." Perfect. Now what?" If you've ever not made enough to cover your bills every month you know the agony of living like that. It's the same for any of us especially as we get older and face the reality of retirement. What's the solution? One of the solutions is learning how to freelance young in life. But you have to believe it's never too late to learn new skills. What's easier if you could only choose one path given you are in the same boat as Dave and Sally? Saving another $1,900,000 starting at 58, wait to retire and be happy with their lifestyle living off their nest egg? Learn to freelance, supplement or replace their current job incomes while stressing a lot less about the whole retirement thing? This article is for anyone interested in learning about the freedom and challenges of learning to earn anything working as a freelancer or independent contractor. 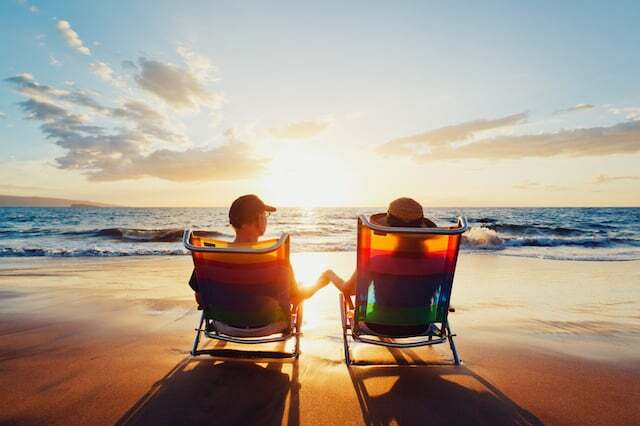 However, what you'll learn in this article can be extremely useful for the millions of Baby Boomers (1946-1964) who can't afford to retire, and they're worried about being able to save or invest enough before they start enjoying life. Consider this article a primer for option #2 - how to freelance your way through life especially if you believe retirement as a concept is dead and replaced by this amazing thing called living and working as a freelancer for as long as you live. Age is a state of mind and it doesn't matter how old you are because anyone can learn to be a top-earning freelancer. Freelancing is big business and big bucks. It's not about being a multi-millionaire and killing yourself in the process. I don't hype income numbers and sell the pipedream of driving fancy cars or living on a yacht. I use $50,000 because it's a realistic income goal for anyone willing to work hard given skill or talent in demand to business owners or the consumer directly. It's also because of my direct experience that I choose this number. I've worked as a professional retirement planner and small business owner who's worked many freelancer hours since 2003 after selling the retirement planning business. I know how to freelance and if you have a work ethic, a desire, and some marketable knowledge, you need to sell 500 hours at $100 an hour to make $50,000. How hard is that if you know you have 8,760 hours in a year? Anyone can learn to be a successful freelancer if they stick with marketing a useful talent or skill. Your mindset matters! Your knowledge counts. If you've never made $20 an hour doing anything and you think it's crazy anyone could earn $100 an hour, trust me, it happens all the time. The primary difference between making $300 an hour or $20 is confidence. There's also the amount of talent that leads to the value you provide people. Solve bigger problems, make bigger money in many cases. Specialized talent in any field is priced at a premium for a reason. Confidence also comes from experience. So does wisdom, especially when you've been self-employed and freelanced as long as I. Give the concept of freelancing a chance, believe in yourself, and see how much you're worth in the freelancing world. Enjoy the journey. Your mindset makes all the difference. If you know what you know can make you $50,000 a year, or you're willing to learn new skills like being a writer or editor, will you do the hard work to find your clients? Will you remain coachable and willing to invest in yourself? There is massive demand for specialized knowledge including programming websites, designing websites or anything digitally, writing copy for magazines and blogs, contract sales, teaching, coaching, setting up specialized software solutions and many other "talents" and forms of knowledge can generate a sound hourly rate. As a starting point, check out hourly rates at Upwork as one example of a place freelancers can find tons of work. Follows these steps to make $50,000 a year, or whatever you decide. It's all in your head, heart and soul! You can choose your income level and learn to achieve the freelancer income of your dreams for as long as you like. Again, I use $50,000 a year because this is a very achievable number to set as a goal if you have valuable knowledge, talent, and skill to sell and deliver from the comfort of your home office like I've done since 2003. As you go through this list please know there's a lot to learn when it comes to being in a small business of your own. That's what freelancing is. You're selling yourself and your knowledge, your value to the market of customers you choose. This list could never be complete so feel free to add a comment or send me a message if you have anything constructive to add to this article. The desire to learn new knowledge and skills for life, with cash flow and without. A dedicated journal or notebook for planning. A strategy and plan of action for success. See #2. Writing and journaling make a big difference in my direct experience. Be coachable and work on your mindset every minute. Raise the bar for yourself. Willingness to read, take notes, apply new knowledge. Never stop learning, reading, networking, or caring about making a difference. A strong self-image and belief system. This can always be enhanced. Discipline, "hunger," work ethic, reliability. Motivation is key. Confidence to price yourself right. This is where coaching comes in, or time and experience to learn the ropes on your own. General organizational, communication, sales, and business skills. Computer, internet, quiet place to work every day. Work time is pay time. Treat your workspace with respect. Credit or debit cards with available balances. You will need to pay for various software subscriptions such as hosting your website, taking online courses, adding CRM or marketing automation for email, etc. DBA or business name, a logo, maybe a business card. Keep it simple. Business, tax, legal, accounting professionals you can afford. Courage to be resilient when things don't go your way. A community of people to support you, maybe a coach or mentor. 50 clients who pay you $1,000 a year, or 100 clients who pay you $500 a year, etc. You need to learn to market, promote, network and sell You, Inc.
That's all I'll share with you for now. Hopefully, you're inspired to learn more about freelancing if you're new to the concept. If you're already aware of freelancing and do so for a living, congratulations. You have a taste of the #1 thing I love about freelancing - freedom. I can work with whom I want, when I want, for as long as I want, and they can too. I keep it simple at this stage of my life. Call it experience. How much is that worth to know I don't have to sweat out thinking about traditional retirement because I learned to do what I love and make a great living. Now you know more about my $50,000 reasons to learn about freelancing whether you believe in the American retirement dream or not. I always appreciate your comments here on the blog. P.S. What do I do for a living? I sell SharpSpring marketing automation and creative marketing content and campaigns that generate high-ROI B2B sales results. Thanks for connecting me with anyone who needs help with making marketing work or cash flow. If you’re looking for guidance, have a burning question to ask, or simply want to interact with me, send me an email!